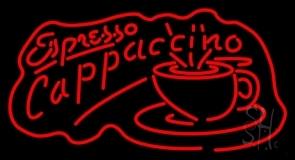 Add more to those warm conversations going on between bunch of friends and families with a cup of coffee in the accompaniment of cappuccino and espresso neon signs. 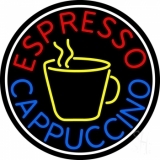 Your best served brew drinks can make those gatherings frequent and what better way to enhance this, than by hanging a cappuccino and espresso neon sign on your window fronts. 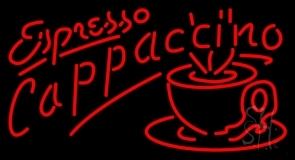 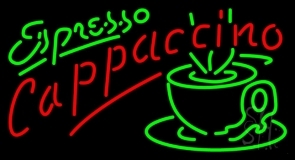 Cappuccino and espresso neon sign emanates its radiance better than any other light prevails. 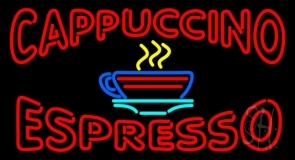 Durability and longevity are superlative add-ons to neon signs. 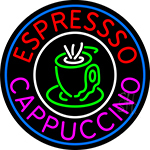 Moreover, cappuccino and espresso neon signs that we deliver come with simple installation and minor maintenance costs. 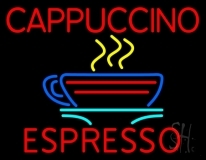 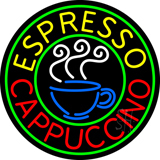 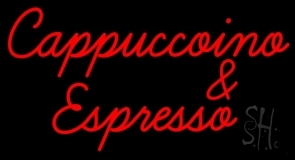 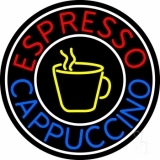 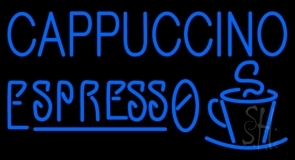 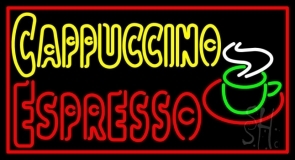 We have a large collection of cappuccino and espresso neon signs that are distinct in designs and styles. 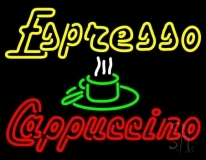 From 'Deco Style Green Espresso Cappuccino Animated Neon Sign' to 'Double Stroke Espresso Cappuccino Neon Sign', our exclusive neon signs are loaded with outstanding font styles and texts blowing up your minds in the selection of cappuccino and espresso neon signs. 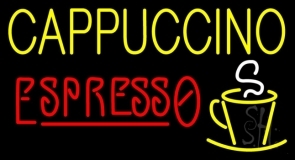 Our custom build cappuccino and espresso neon signs are certain to strike your fancy. 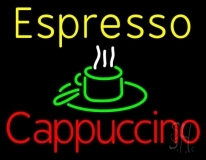 Your idea is our imagination! 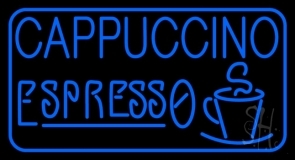 So bring in your ideas for customized cappuccino and espresso neon sign and our well profiled designers will turn imaginations into reality creating distinguish interpretations of your cappuccino and espresso neon sign. 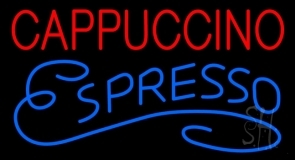 The florescence of neon colors, modish looking fonts and flashes of texts and borders of customized cappuccino and espresso neon sign are sure to captivate you and your customers' souls drawing them over to your establishments. 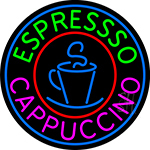 So click here for your design and customized cappuccino and espresso neon sign!